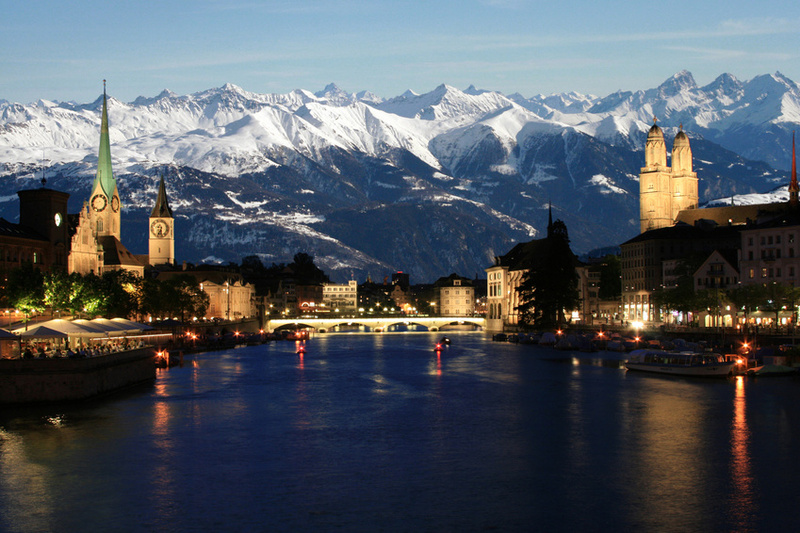 Beautiful Zurich is a city as well the main municipality and captial of the equally named Canton of Zurich in Switzerland. 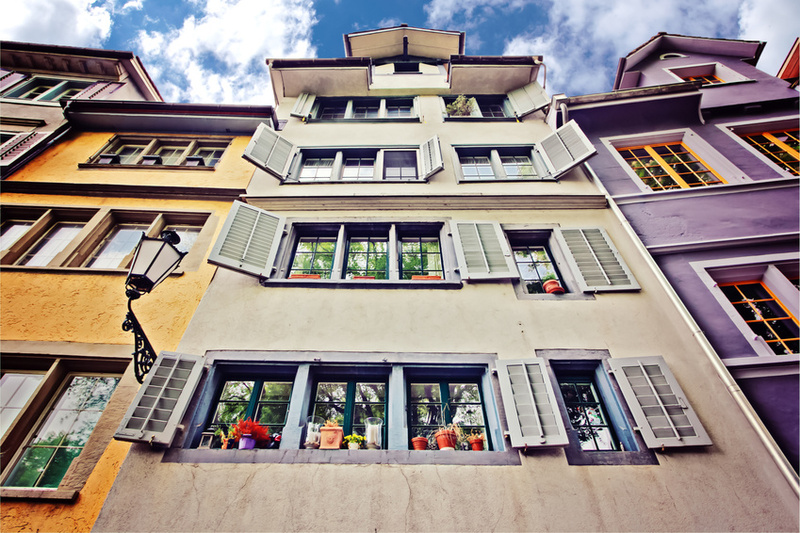 Located by the gorgeous Lake of Zurich, the splendid old town centre awaits you, spreading on the left and right of the shimmering blue river Limmat. Highlights are the town hall, which was built in Renaissance style and the Romanesque Great Minster, which was built on the behest of Charlemagne. Later, this magnificent building was the starting point of the Reform developed by the theologian Zwingli. One of the towers of the Great Minster can be conquered by scaling its more than 180 steps, rewarding the visitor with a spectacular view of the old city centre. Not to be missed. Another no less famous church is the Fraumünster. The artist Marc Chagall created magnificent glass windows, which attract many enthusiastic visitors every year. When the sunlight shines though the windows, the sight can be described as an unforgettable experience of art. Those left wanting to see more works of art, can visit the Rietberg Museum. While the KunsthausHaus presents top class exhibitions, the Rietberg Museum focuses on works of art from America, Asia, Oceania and Africa. At Bellevue or Bürkliplace you can relax and take your time after a day of culture and enjoy the grand view of the Lake of Zurich and the Alps. Zurich has a splendid infrastructure. The airport of Zurich is of international importance und has its own railway station, where trams and Inter/Euro City trains leave for the inner city. 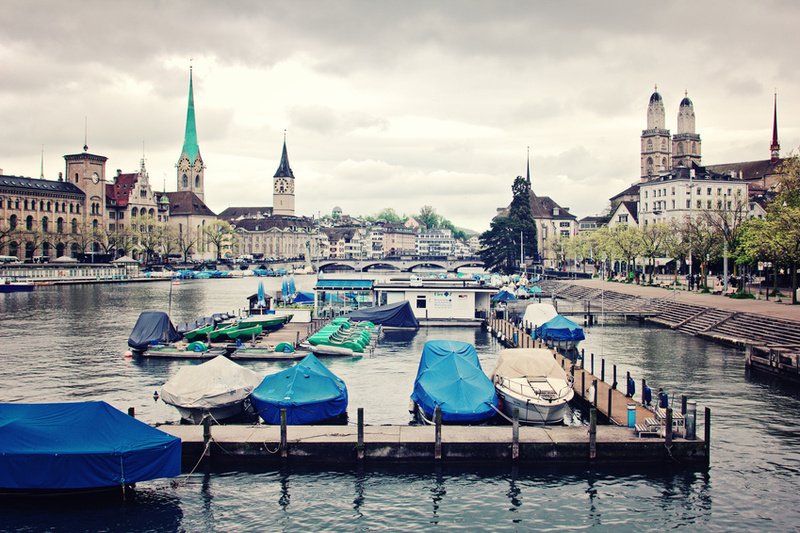 For tourists, the Zurich Card is easily available and includes free fares within the inner city circle and reduced entry rates at several museums. Every Monday evening between May and October, the Monday Skate Night is on at 19 p.m. Zurich can be discovered, sporting inline skates on a guided tour.